How Well Do You Understand the Stock Market? You’ve had a portfolio for years – should be pretty familiar now, right? 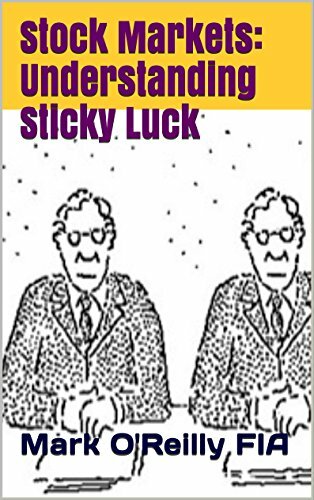 Unfortunately, the stock market is notorious for what the author has dubbed “sticky luck” – its tendency to convince us of some profound wisdom over many years, only then to desert us suddenly in the cruelest way. This book is dedicated to the understanding of sticky luck, and its implications for a sound investment strategy. After studying market patterns throughout his career, the author realized that available literature was inadequate to explain what was going on. Moreover, much of that literature seems to be out to make money in some way. Nothing wrong with that, but unfortunately the profit-motive has damaged the objectivity of what’s on offer. If you think you get what you pay for when it comes to investment advice, then maybe you’re a victim of the market’s pricing structure. You should at least risk thirty minutes reading Chapter 2.